T-fasteners with absorbable suture designed to secure the position of the stomach against the anterior abdominal wall. 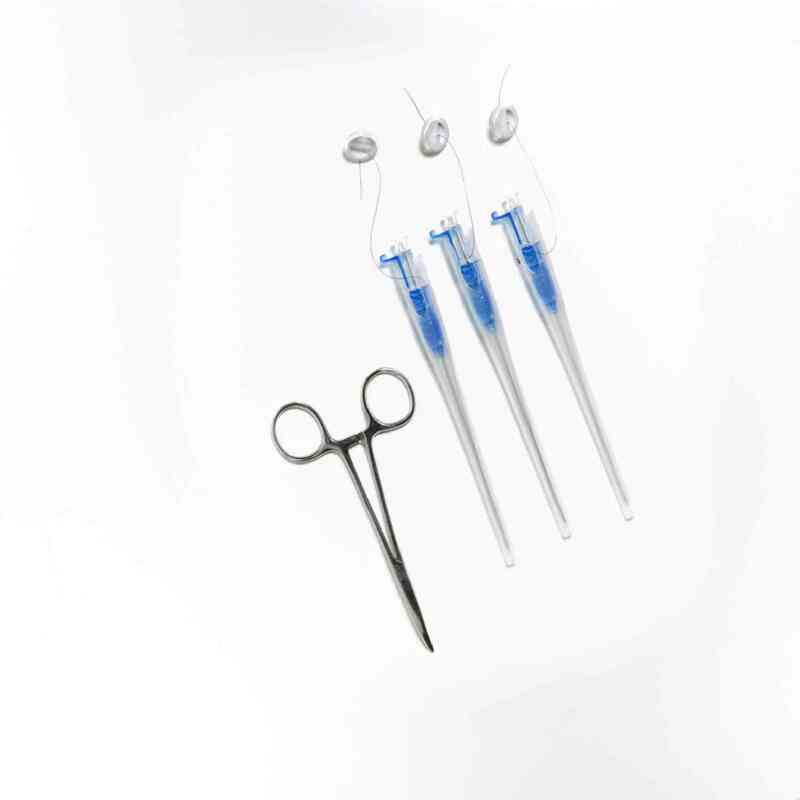 Key components of the set include Absorbable 3-0 Biosyn (TM) Monofilament Absorbable Suture, provided in order to eliminate the need for a follow-up visit to remove the suture. Also included are pre-loaded safety needles intended to protect clinicians from inadvertent needle sticks. The low-profile external retention bumper design has enhanced use, thanks to the audible “click” bolster locking mechanism, as well as the cleanable bolster. Gastrointestinal Anchor Set with SAF-T-PEXY* T-Fasteners is intended to affix the stomach to the anterior abdominal wall in order to facilitate primary placement of AVANOS* MIC* and MIC-KEY* brand enteral Feeding Tubes. Please note, it is recommended that these T-Fasteners be used only with the AVANOS* MIC* and MIC-KEY* brand enteral Feeding Tubes.The SAF-T-PEXY* device contains 3/0 Biosyn (TM) synthetic absorbable suture. Additionally, each set contains hemostat, as well as pre-loaded needles. The low-profile external retention bumper has a number of benefits, including patient comfort due to its smooth, round design. Plus, it’s cleanable, improving hygiene. This product is intended solely for single-use. Each set comes sterilized using EO.